The evidence was taken during an illegal search and seizure. The defendant was lured into committing a crime that they normally wouldn't commit (entrapment). Probable cause to search a person, vehicle, or home was not established. The search warrant was obtained or used illegally. The evidence was obtained by a police informant (informants normally lack credibility or have questionable motives). In cases where there is strong evidence against the defendant or a confession was made to the police, hope is not lost. Washington State has a Drug Offender Sentencing Alternative (DOSA) program, First Time Offender Waiver, and a Diversion program. These special programs focus on drug treatment, as an alternative to a long term prison sentence. Your criminal defense attorney should be experienced with these special programs, as acceptance is not automatic or guaranteed. Depending on the facts of your case, your lawyer should advise you on which programs are available and are good alternatives. In WA State, delivery is loosely defined as the act of giving a controlled substance to another person. There is no requirement that a monetary or barter transaction needs to have taken place. It is quite common for people to be accused of delivery for sharing a drug with a friend or for possessing "too much" of a drug. In many cases, there is very little that distinguishes a drug dealer from a drug user. 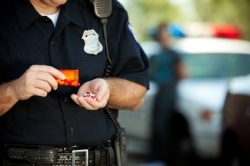 If there is an undercover operation or police setup, law enforcement can often times convince a person (who has no intention of selling drugs) to share their drugs. Cristine Beckwith has a proven track record for winning tough drug cases in Federal and local Washington State courts that include Tacoma, Seattle, Puyallup, Bellevue, and Olympia, WA. She wins many cases by arguing that evidence should be suppressed, based on law enforcement's abuse of search and seizure laws. Even a small technical issue can result in a case settlement that avoids a felony conviction and the resulting penalties. Cristine's experience as a drug crime lawyer in King, Pierce, and Thurston County can create an important advantage in your case. Call us today for a free and confidential consultation.